Starburst double basket cluster. 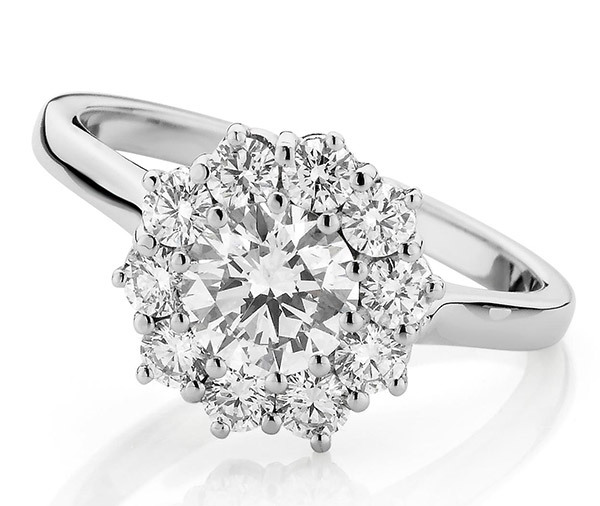 A single larger round brilliant cut Diamond is claw set in the centre, surrounded by individually claw set small round brilliant cut diamonds. 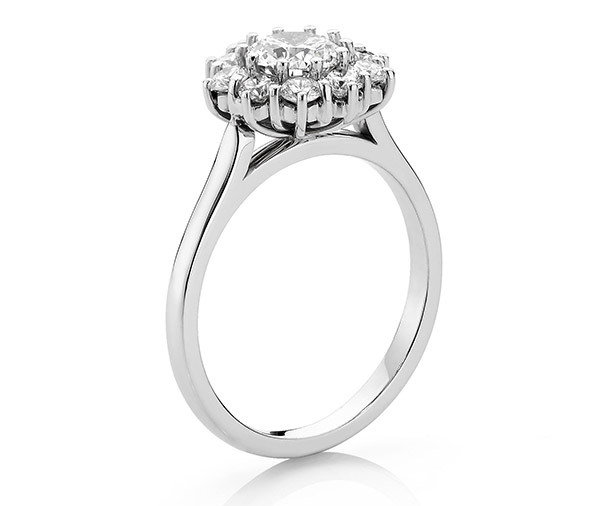 Model image features centre 0.70ct round brilliant cut diamond. Available in platinum, 18ct white, yellow or rose gold or any other precious metal combination.